This article/press release has been granted to NumisMedia by a member or contributor, NumisMedia is not�responsible for the content. 2. 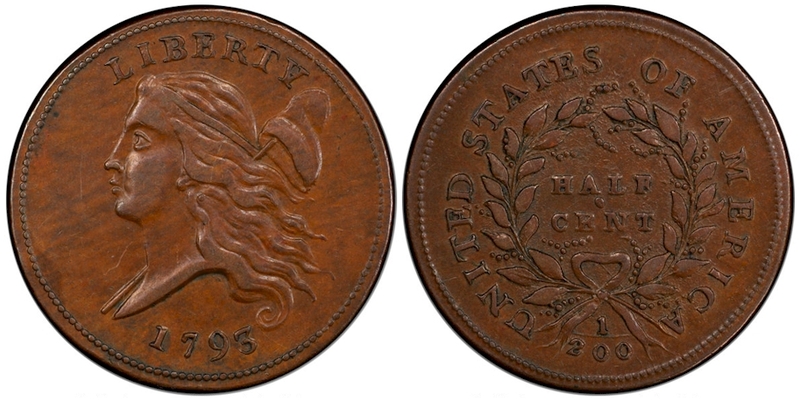 A CAC-approved AU-53 1793 Chain cent of the AMERICA - No Periods variety realized $102,000. In June 2017, another major auction firm sold a PCGS-graded AU-53 1793 Chain cent of the AMERICA - No Periods variety without a CAC sticker for $79,312.50. 3. A CAC-approved MS-67 1924 Buffalo nickel realized $25,200. This could possibly be an auction record for a 1924 nickel. During the last ten years, the highest result for a PCGS or NGC-graded MS-67 1924 nickel without a CAC sticker was $12,925. 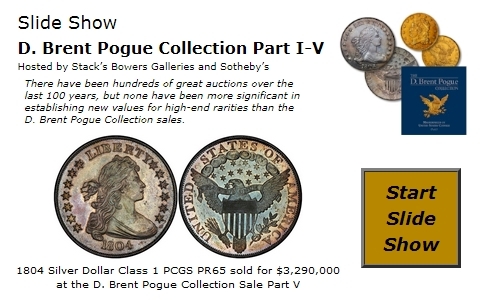 It was a PCGS-graded MS-67 coin in a February 2014 auction. 5. An NGC-certified Proof-66 1880 Morgan silver dollar with a CAC sticker realized $11,400. Less than four weeks later on February 3, Heritage auctioned a PCGS-certified Proof-66 1880 Morgan silver dollar without a CAC sticker for $5760. The NGC-certified coin with a CAC sticker brought almost twice as much as the PCGS-certified coin without a CAC sticker. 7. A CAC-approved MS-66 1887-O Morgan silver dollar was auctioned for $43,200. In February 2018 in an auction at a Long Beach Expo, a PCGS-graded MS-66 1887-O Morgan silver dollar without a CAC sticker brought $28,800, much less than the CAC-approved coin. 10. In this FUN auction event, there were three PCGS-graded MS-64 1914-S $10 gold coins. Two of the three were CAC-approved. These realized $13,200 and $12,000, respectively. The one that did not have a CAC sticker sold for $5280, less than half as much as either of the CAC-approved MS-64 1914-S $10 gold coins.